Project start workshop - a-stautenbergs Webseite! AUKTORA works with agile project management always close to the customer's needs and incorporates them into the development process through high transparency. With our model, we create the basis for joint innovations that can successfully survive on the market. The process requires effective and efficient procedures and a pool of methods. The latter, combined with years of experience, provides the foundation for flexible and customer-oriented development services. A good communication basis as well as a common understanding of your product vision is the basis for project success and efficient cooperation. We develop this basis together with you in a workshop at the beginning of the project. Not only are the technical approaches to solutions developed in a structured manner, but the economic aspects are also analysed. The result is a dynamic catalogue of requirements with a detailed solution concept from AUKTORA. The developed solution concept from the workshop will be divided into meaningful development increments and prioritized together with you. The result is a concrete project plan for the realization of the project, which contains the entire length of the project with the number of sprints and all sprint goals. Furthermore, sensible prototyping planning is included in the process. The developers are accompanied by experienced project managers in the agile development process. The development team is provided with a Product Owner (PO) and a Scrum Master (SM). The product owner represents the customer's product vision in the team and is your main contact. Its aim is to represent your interests internally. The Scrum Master, on the other hand, is available to the technical development team for organizational needs and plans and moderates all internal project events within the agile process. He is responsible for the smooth running of the project and ensures that the team can concentrate on solving the problem. The sprint length depends on the content of the product development and takes between 2 and 4 weeks, depending on the engineering focus and development support. The length of the spindles is determined by the PO in consultation with the customer and the development team at the beginning of the project. The development team is focused on achieving the planned sprint goal. During the implementation we offer our customers transparent monitoring of the status of the planned work packages and, according to individual requirements, regular exchange via telephone and video conferences. AUKTORA has an open feedback culture to continuously optimize its development processes. This is done after each sprint. The aim of this reflection round, integrated in the process, is to optimise cooperation. 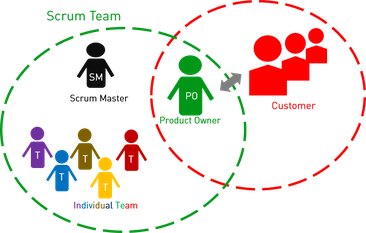 This is done by exchanging the Scrum Master, the Product Owner and the developers. After each sprint there is a "review meeting" with the customer. The team presents the results and informs about solutions and problem areas. The fulfilment of the set sprint target is checked, and adjustments can be made by the customer if necessary. The agile project management was especially optimized for the product development of electrical components and system solutions.